Covered call writing is a conservative strategy that encompasses a great deal of inherent application flexibility. In my first 3 books and DVD Programs I have discussed the use of LEAPS as a stock surrogate, protective puts, the use of cash-secured puts to enter a covered call trade at a discount and portfolio overwriting. In this article I will review the use of covered call writing as it relates to portfolio overwriting and present a more detailed approach than I have in the past. My motivation for writing this article is based on a number of requests from our members to provide more information on this topic so thank you for the suggestions and here we go. Portfolio overwriting is a strategy we use to enhance the returns of a buy and hold portfolio. We sell out-of-the-money, 1-month call options targeting a specific additional annualized return. For example, if we wanted to increase our portfolio annualized returns by 6%, we would write calls that generated at least 1/2% per month. The fact that we are writing out-of-the-money calls, we would also allow for share appreciation. In essence, we want more money and do not want our shares sold. For some, share retention is for psychological reasons (you’ve become attached to your stock…almost like a family member!) but tax consequences due to a low cost basis is the major overriding concern. Of course, if you are trading in a sheltered account, there are no tax concerns and you can be more aggressive in your approach than detailed in this article. So what can we do to avoid early exercise in these cases? Another strategy that can be employed to minimize the risk of early assignment is to sell a 2-month option during the month of the ex-date. For example, after the December contracts expire and there is an ex-date on (for example) January 10th, sell the February contract rather than the January contract. This way the option holder is much less likely to consider early exercise because the time value of the option is much greater and there is a much greater exposure to share ownership because of the longer time frame. As a guideline, if the ex-date is in the first week of a contract, sell that month’s contract the day after that date. If the ex-date is later in the contract, sell the next month’s option (2-month option) right after the previous expiration. Buy and hold portfolios, especially those with a low cost basis, can be enhanced using a conservative covered call writing strategy. It entails writing out-of-the-money calls based on our annualized goals. 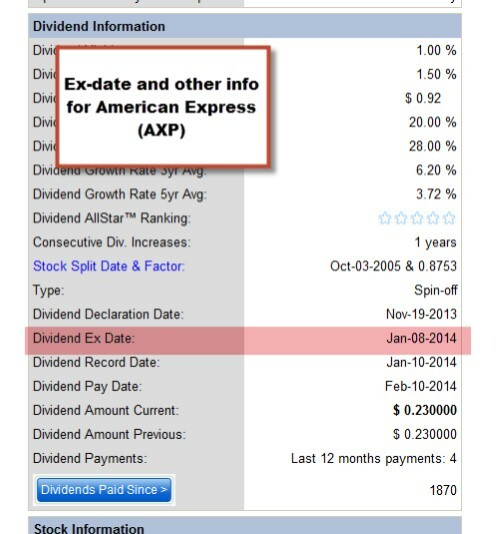 To avoid exercise, rolling strategies and avoidance of ex-dividend dates must be accounted for. It is also important to speak with your tax advisor should early exercise occur…it may not be a financial concern based on other investments in your portfolio. ***In part II, I will set up a hypothetical portfolio using popular blue-chip stocks to illustrate one way to utilize this covered call-like strategy. For the week, the S&P 500 rose fractionally for a year-to-date return of 29%, including dividends. For me and Barry and the rest of the BCI team sending holiday wishes does not seem quite adequate. 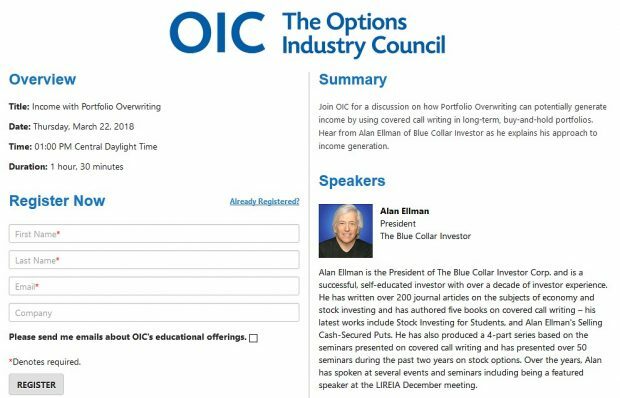 Seven years ago when The Blue Collar Investor concept was launched and my first book published we had a dream aspiring to reach as many retail investors as possible and make a difference in their lives. We were not Wall Street Insiders but rather blue collar workers and investors just like you. By ourselves we had the ability to achieve some success but with you and thanks to you we have reached levels we never dreamed possible. Atop the foundation of your loyal and supportive membership of thousands throughout the world reside the Blue Collar team. With you we stand tall having achieved a lifetime of dreams; without you we are simply a group of hard-working people with an idea. The English language hasn’t yet created the vocabulary to adequately express our gratitude to all who have helped bring the Blue Collar Investor the notoriety it enjoys today. The Weekly Report for 11-29-13 has been uploaded to the Premium Member website and is available for download. Very helpful article Alan (as always). A good strategy. Thanks! Glad to help…more to come in Part II. Thanks Alan, I, like many of your subscribers have long held stocks that I don’t want to have called away. I always struggle with the decision of when to roll when the price appreciates to or above my strike price. I find that if I wait too long I’ve lost too much time value and rolling at break even or at a profit is problematic. Maybe this is an area you plan to address but I think you will say its just part of writing CC’s. Rolling (out) an option will almost always result in a time value credit unless both near and far-term options are extremely deep in -the-money and trading @ parity. Perhaps you can share an example where there was no credit. I’m sure this aberration will be of interest to the BCI community. I will be speaking in Phoenix on April 8th. If time permits and you attend, please introduce yourself to me. Below is a screenshot for JAZZ options chain, a stock currently on our premium watch list, showing a credit of $2.20 if rolling out today. The credit will actually be more if we “negotiate” a better price. CLICK ON IMAGE TO ENLARGE AND USE THE BACK ARROW TO RETURN TO THIS BLOG. Sorry Alan I left out an important piece of information. In the situation I described I am normally looking to roll up to cover the price appreciation. Indecision has been my enemy since waiting too long means I have to move too far in the future to gain enough time value to cover the cost of buying back the ATM call and selling a higher strike. An alternative might be to wait and see if the price falls back. Do you have any recommendations for dealing with this scenario? I think I understand your dilemma now. If not, please respond with a specific example and stats. You want to roll out and up to capture share value lost by the option obligation plus generate enough time value to cover the cost to close the short options positions. If you roll out and up to the next month the time value will not be adequate enough to accomplish this so you must go further out in time. Do I have this right? If I do, your goal wants to negate the main disadvantage of covered call writing which is limiting profits from share appreciation because of the option obligation. Because you are undertaking this obligation the option buyer is paying you cash and you are undertaking this risk. The risk cannot be negated, only managed. 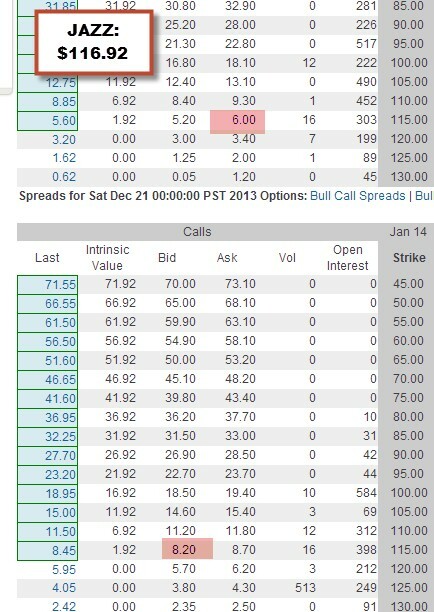 You can initiate your trades by selling options deep out-of-the-money. This will mitigate risk of losing out on share appreciation but also get you lower % returns. It will also minimize the risk of early exercise when ex-dividend dates are nearing. The issue here is that you are combining two strategies…dividend capture and cc writing. You are juggling four balls instead of three. One methodology you may want to consider is to have 2 separate portfolios, one devoted to dividend capture and one to cc writing. This will allow you to make the best decisions for each strategy and eliminate the dilemma you inquired about. Great advice as usual Alan. Thank you and have a great holiday! Premium members please enter the store from the premium site to get your additional premium member discount.